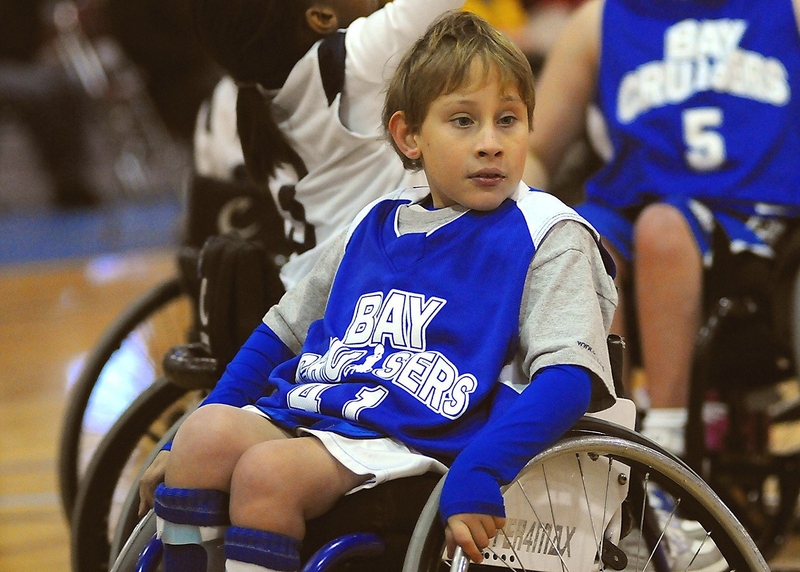 Ernesto Cappuccio set picks and played incredible defense throughout the tournament. 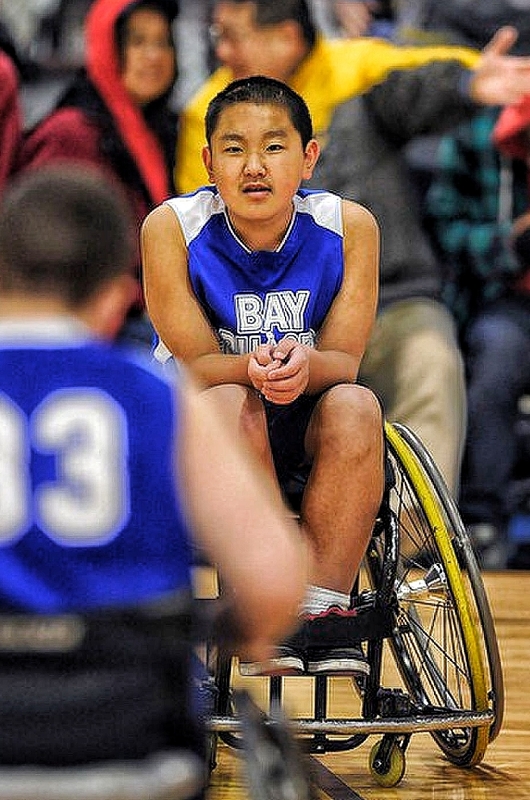 Daniel Diana, Koda and his cousin, Isaiah Ahlstrom ran the court and forced teams to double and triple team at times. 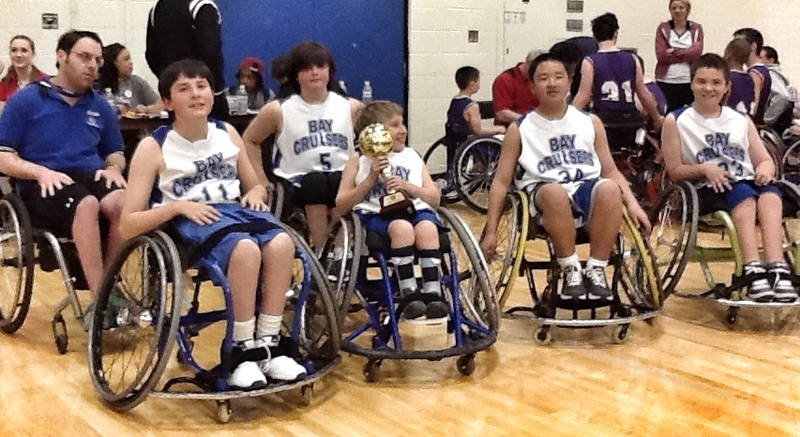 All five of the Bay Cruisers played with a ton of heart to make the games close. It was a fantastic effort and Coach Richie Bennett got the kids to deliver everything they had to advance as far as they did. 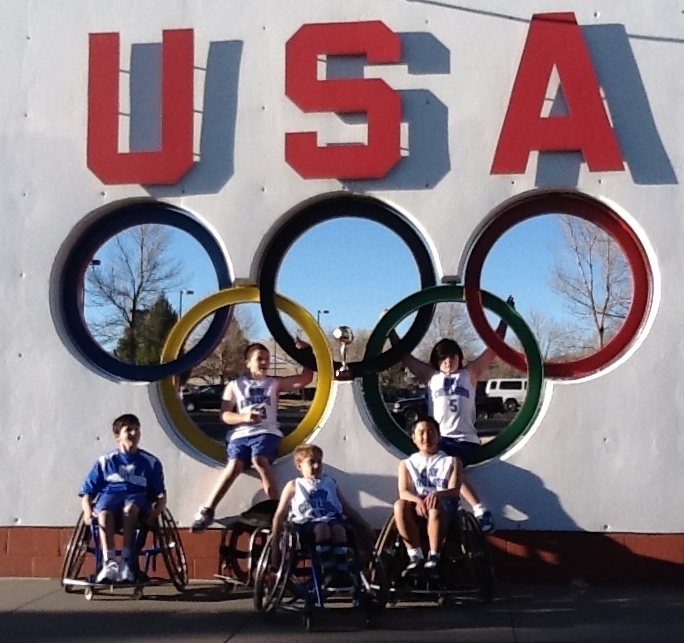 After the tournament the kids had the opportunity to tour the United States Olympic Training Center and see some of the venues where the top US athletes are training in preparation for London. 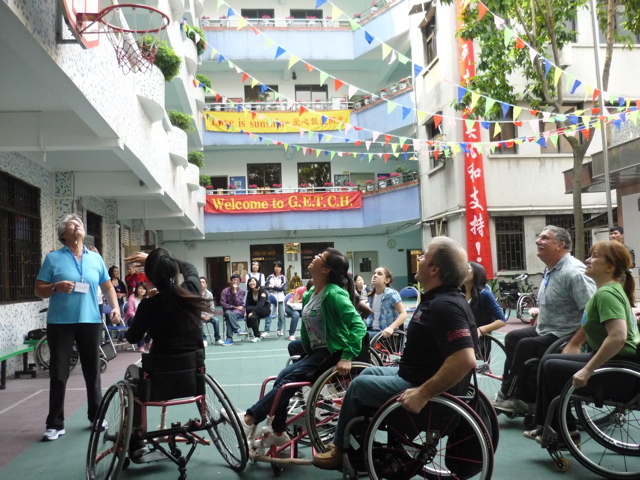 BORP Cycling Coordinator Greg Milano is currently in Guangzhou, China for the Sports United US/China Inclusive Sports and Recreation Professional Exchange Program. 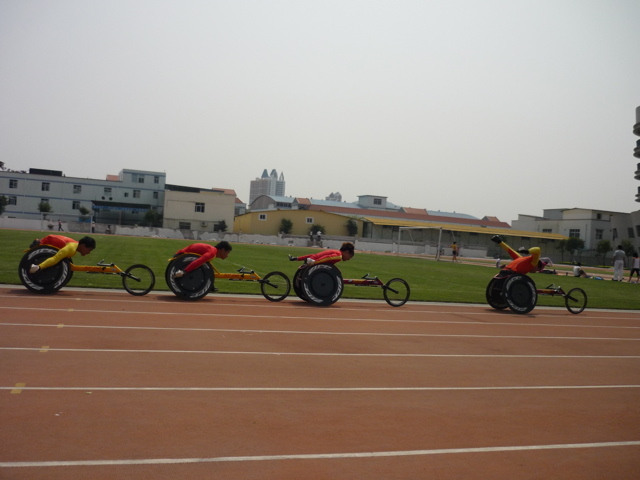 Chinese Track Team works out. Greetings from China! 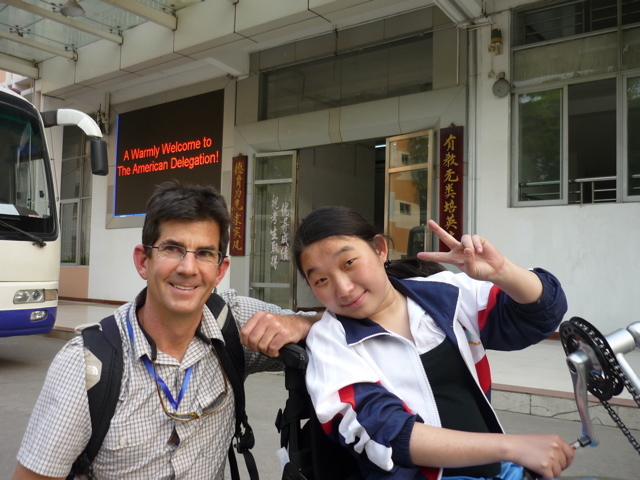 I am honored to be working with 9 other US delegates learning about adaptive programs in China and providing training for Chinese professionals and students. We’ve visited several schools and provided several workshops already. I brought a handcycle in my luggage (really I did!) and have been getting as many people as possible on the wheels. No one here I have met yet has seen one in person before. They have a bike path on the river, so of course I am trying to convince them to start a program just like BORP’s! 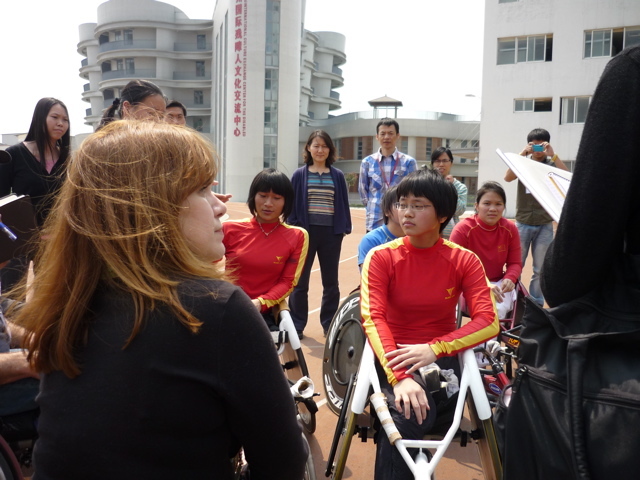 US delegates take on students from our host GETCH, refereed by US paralympic gold medalist and former BORP coach Susie Grimes.